As a founding member of Phoenix Dance Theatre, Villmore’s skills lie in developing alternative movement styles from the African Diaspora, alongside contemporary dance, with his high energy sequences. This dance class will help improve your dance qualities and characteristics, your sense of flow, placement, expressiveness, sense of dynamics and technique. In this class you will also take part in choreographic and creative tasks. There will also be optional performance opportunities in this class, learning and working on different choreography to share at different community platforms. (Please note – this is optional, you can still attend the class and not perform). Tutor Bio Villmore was one of the Founder members of Phoenix Dance Company, which started out as an all-male black company in the early 80s, influenced from the Graham and Laban techniques. 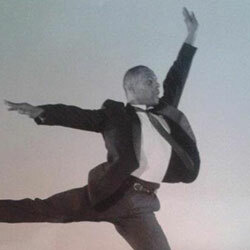 Villmore was a pinnacle dancer, choreographer and teacher for many years with PDC, touring extensively here in the UK and abroad, working alongside esteemed dancers and choreographers. In the late 80's he joined Dundee Rep dance company (DRDC) in Scotland as rehearsal director, performer, teacher, and choreographer, and Co-Director in supporting and helping the Director's developments, profile and aesthetics of the company with extensive community projects and UK touring. As a freelance dancer, Villmore has worked alongside many organisations and artists such as Tamara Mc'lor, Leeds Barnardo's in support of World Aids Day, Breton College Wakefield and Park Lane College, NSCD, RJC. He's continually worked within the community, Higher Education, Primary, Secondary schools and youth dance organisation in playing a part in developing the skills of a new generations of dancers and artist.